The Human Resource Management, Work and Employment (HRMWE) Research Group at Newcastle University Business School, in a collaborative effort with Monash University and Strathclyde University, will be running a series of ESRC seminars exploring the regulation of work and employment starting in January 2014. 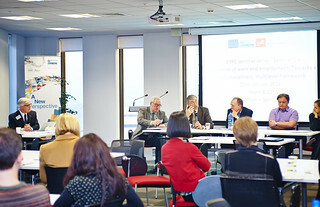 The seminar series takes an important step in looking at regulation from multidisciplinary, multilevel perspectives, and frames the discussion within the context of an international dialogue as the most appropriate way to have concrete impact on different stakeholders involved in the regulation of work and employment. Work and employment remain a central concern to people’s livelihoods, wellbeing and identities; and its regulation has always generated debate about the competing demands between economic concerns (e.g., competitiveness and productivity), and social concerns (e.g., worker rights, equality and social justice). For governments, policy-makers and inter-governmental agencies, this translates into struggles to set the ‘rules of the game’ and the degree of intervention. Most workers and their families, as well as unions welcome regulation as they see it as a key element of decent work, work-life balance and health and safety. The series aims to address the complexities and dynamics of the forces that give rise to patterns of regulation at local, national, supranational and international levels, looking to contribute to developing understanding of these issues and in doing so; help to inform policies, strategies and practices of government, businesses and unions.